Science is about failure, not success. While our culture prizes success above all else, that success is largely about social status in business, sports, and the arts. Such success is mostly vain and non-progressive or static by nature. Not so in science. 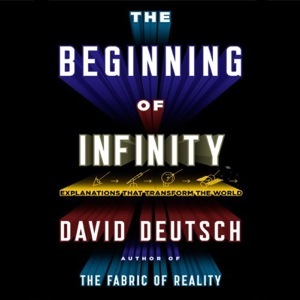 It is failure that propels science to understand more and to generate better explanations, according to David Deutsch in THE BEGINNING OF INFINITY, a landmark book about how philosophy and religion can deny progress in preventing ideas from germinating. Science is essentially anti-dogma, and uses failure as a motivator to expand knowledge. "Success" as defined by culture is meaningless by comparison, since it reinforces the status quo with rituals and rules that reward conformity. Deutsch argues that we now live in a dynamic society, unlike past static societies where individual thoughts and actions were suppressed. Ideas, and not "Guns, Germs, and Steel," are therefore what propel history forward, and so Jared Diamond got it wrong. (Ideas, good or bad, are memes that replicate themselves like viruses or computer programs that influence what we do and how we think.) Deutsch also takes issue with David Attenborough, whose program on Easter Island praised the skills and artistry of the long gone inhabitants who built massive stone statues, and drew the conclusion that their misuse of resources led to starvation and extinction in much the same way that we do in relation to the Earth today. But Deutsch points out that their deforestation, in pursuit of statue building, was not a microcosm of today, but rather the result of their society being static. Doing anything else simply did not occur to them. Forest husbandry was not an idea they imagined. Even their statues were all alike, with the same gaunt faces and no creativity in their design. As they began to starve, their statue building only increased in magnitude, as though to appease the gods right up to the end. Many of the biggest statues remain half completed in quarries, when there were no logs left to transport them. Conversely, the ideas of individuals such as Albert Einstein or Steve Jobs transformed the entire 20th Century in different ways. And Deutsch's premise is that there is no limit of ideas to solve whatever inevitable problems arise. Only static thinking has a limit, and that is extinction itself. 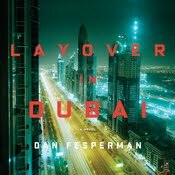 As read by Walter Dixon, this profound and densely reasoned book turns political and sociological dogmas on their head, revealing their illogical conclusions. Knowledge is not just power, it is the key to the past and the future. 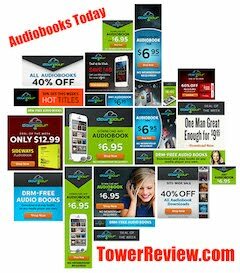 TOWER REVIEW AUDIOBOOK OF THE MONTH.